Seven Angry Men | Movie4Cast - The Most Complete Movie Community Platform! 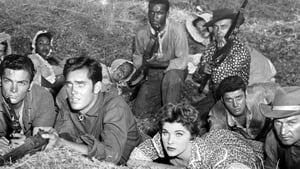 Director Charles Marquis Warren's 1955 period drama about abolitionist John Brown's crusade to free the slaves stars Raymond Massey, Jeffrey Hunter, Debra Paget, Larry Pennell, Leo Gordon, James Best, John Smith, Dennis Weaver, James Edwards, Guy Williams, James Anderson, Dabbs Greer, Robert "Smoki" Whitfield and Tom Irish. Dennis Weaver John Brown Jr.